Electronic invoices were quite uncommon thing in Poland. As in other European countries, electronic invoices were sent only by large companies in business-to-business sector. Also billing software was used by mass service providers in business-to-consumer sector. The more is the amount of sent out invoices, the more advantageous for company is to choose billing software instead of postal services. The main issue about electronic invoicing in Poland is electronic signature. Integrity of invoice in Poland should be provided by electronic signature. It’s is not widespread and that’s why prevents companies from using billing software and sending invoices electronically. For SME electronic signature is future vision. Electronic invoicing isn’t being popularised by Ministry of Finances. And also interpretation of tax regulation concerning e-invoicing is confusing. Fortunately, legislation changed in 2010 and it became possible to attach electronic invoices in e-mails. 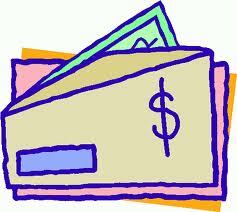 This option is very convenient for those who use billing software. Since 2011 companies could use any formats for electronic invoices. But invoice issuer still has to ensure authenticity of origin and integrity of content of invoice. Before sending electronic invoice to someone, you have to get agreement from a recipient. According to research made by Billentis, in 2012 the volume of sent/received electronic invoices in Poland is on average level. This is good indicator. But still in business-to business and business-to-consumer sectors less than 10% of total invoice volume is sent electronically. Billing software still isn’t widespread enough among companies. In conclusion, Poland has to develop electronic invoicing in future. Companies could be forced by legislation and government to give preferences to electronic invoices. That will develop business area and save much money on invoicing.